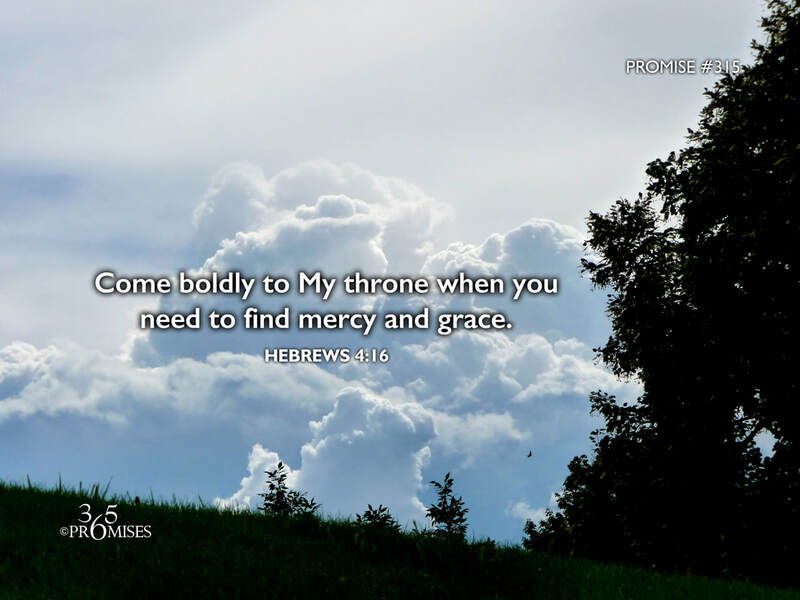 Come boldly to My throne when you need to find mercy and grace. that we may receive mercy, and may find grace for help in time of need. We have an invitation from our God and Father to come boldly before His throne of grace today. In the book of Revelation, we read a little bit about what God's throne room is like in chapter 4... Angels crying holy, holy holy, flashes of lightning, 24 elders bowing down, a sea of glass, and so much more! It is a holy place where angels fear to tread, but a place in our Father's heart where we have free access to enter as His beloved little ones. You can come into His presence right now if you like. His royal doors are always open to you, anytime, day or night. God wants each one of us to come to Him boldly, not timidly. He loves it when we climb up on His lap just as a little child would jump into his dad's arms. He is always there for us ready to provide the mercy and grace to help us in our time of need. There is no way that we can fathom the privilege that God has extended to us by inviting us to His throne of grace. It is an honor that could have only been purchased by the highest price possible...the shed blood of the Lamb of God. Thank you Jesus for making the way for us to become part of your family so that we could come boldly before our Father's throne of grace 24/7!